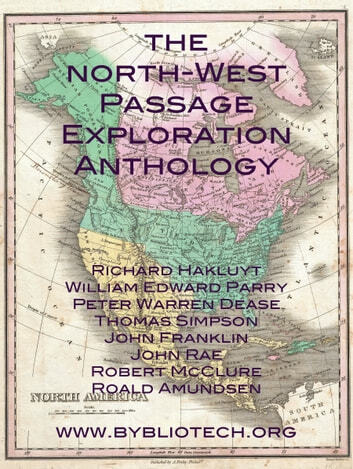 “The Northwest Passage Exploration Anthology”, features the first-hand personal accounts of explorers: Roald Amundsen, Robert McClure, John Rae, John Franklin, Thomas Simpson, Peter Warren Dease, William Edward Parry and Richard Hakluyt. 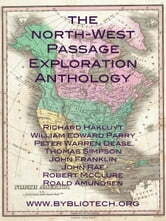 This book charts the full history of the exploration of the legendary “Northwest Passage” – the sea-lane around the frozen Northern shore of the North American Continent. Discovering this passage became an obsession for generations of explorers and seafarers eager to slash the vast length of the sea journey between Europe and the riches of the East. From Richard Hakluyt's 16th Century text, “Voyages in search of the North-West Passage”, right up to Roald Amundsen’s personal account of his successful three year (1904-6) journey in the small ship the “Gjoa”, several centuries later, the prize of discovery had transfixed but eluded the greatest explorers of the age. This book is essential reading for anyone with an interest in Exploration, nautical enterprise, or the history of development and exploration in Canada and the USA. - Journal Of The Third Voyage For The Discovery Of A North-West Passage. By Capt. W. E. Parry, R.N., F.R.S. - Journal Of The Honourable Hudson's Bay Company's Expedition - Memoir Of Thomas Simpson, A. M. By His Brother, Alexr. Simpson. - Narrative Of A Second Expedition To The Shores Of The Polar Sea In The Years 1825, 1826, And 1827. By John Franklin, Capt. R.N., F.R.S., &C. And Commander Of The Expedition. Including An Account Of The Progress Of A Detachment To The Eastward, By John Richardson, M.D., F.R.S., F.L.S., &c. Surgeon And Naturalist To The Expedition. - Narrative Of An Expedition To The Shores Of The Arctic Sea In 1846 And 1847, By John Rae. - The Discovery Of The North-West Passage. By H.M.S. “INVESTIGATOR” Capt Robert Mcclure, 1850, 1851, 1852, 1853, 1854. - The "GJOA" Expedition, 1903-1907. The North West Passage By Roald Amundsen, Being The Record Of A Voyage Of Exploration Of The Ship "GJOA" 1903-1907 By Roald Amundsen With A Supplement By First Lieutenant Hansen Vice-Commander Of The Expedition. The Early Years of the Northwest Mounted Police of Canada. Illustrated. Roald Amundsen's "The North-West Passage": Being the Record of a Voyage of Exploration of the Ship "Gjoa," 1903-1907. Volume 2. Roald Amundsen's "The North-West Passage": Being the Record of a Voyage of Exploration of the Ship "Gjoa," 1903-1907. Volume 1.